Digital Yacht’s Extensive range of AIS products provides solutions for every type of boat, from an open cockpit RIB to a SOLAS Super Tanker. For customers that just want to see where surrounding vessels are, select from our range of receivers or if you also want other vessels to know your position, select from our transponders. 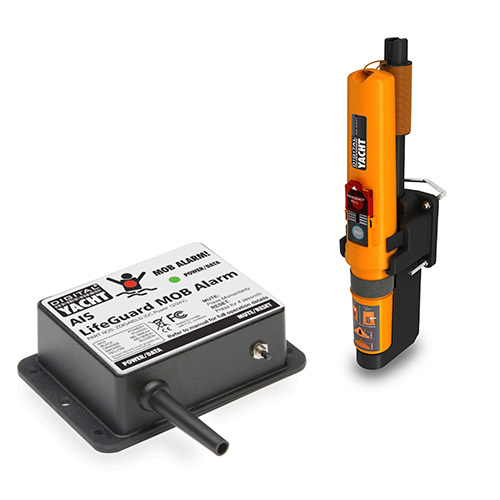 We also have an AIS SART and a full set of Accessories for our AIS products. 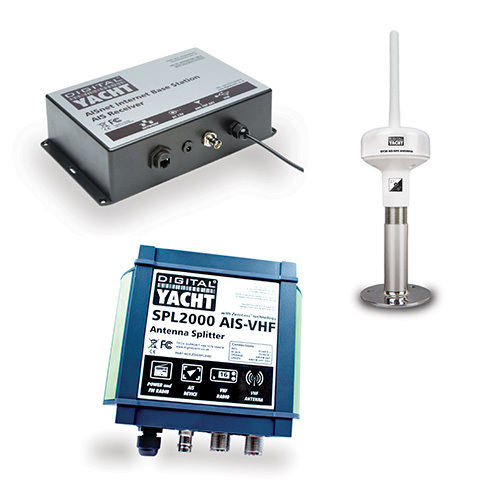 Digital Yacht have the most extensive AIS Receiver range of any Marine Electronics manufacturer, with a model to suit every application. 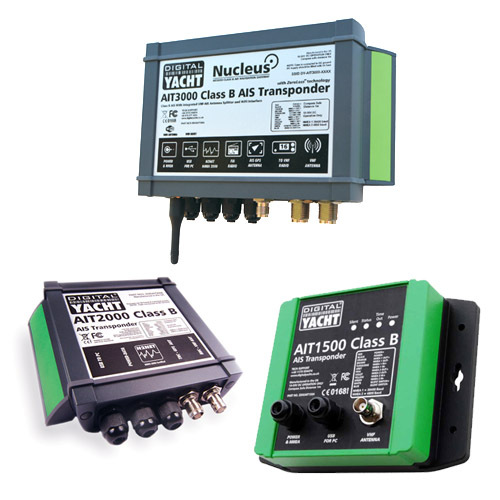 Digital Yacht’s range of AIS transponders include both Class A and Class B units for Commercial and Pleasure vessels. Our AIS SARTs products such as AIS Life Guard. 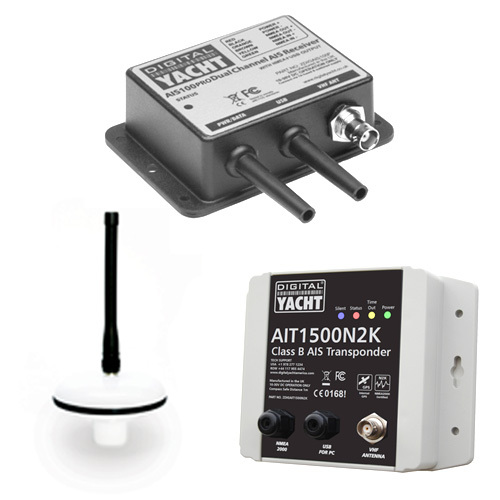 Our AIS accessories such as VHF antenna splitter, GPS-AIS antenna, AIS internet base station, etc.